I love this COLORFUL story about the inventor of Crayola crayons! Makes me appreciate them and want to go color a picture. The back matter is excellent too: photos (color, of course) showing the process of making Crayola crayons today, and a selected bibliography. 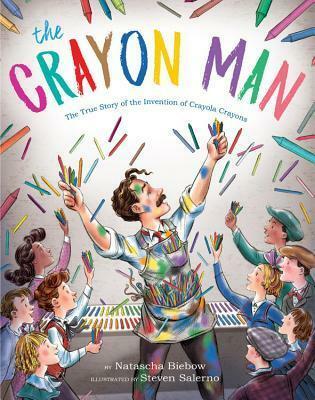 An appropriately colorful introduction to the man who invented Crayola crayons. A worthy response to the question: Where did crayons come from?